Are you upholder, questioner, rebel, or obliger? Have you ever wondered how do you respond to external and internal rules? Did you ever notice that you maybe question too much, or get rebellious when you have certain obligations ahead? Well, according to Gretchen Rubin, in a nutshell, people fall into one of four categories: upholder, questioner, rebel, or obliger. What is the first question you ask yourself when you wake up? Is it: “What’s on the schedule and the to-do list for today?” or is it: “What needs to get done today?” maybe? Or could it be: “What must I do today?”? Do you want to know which one are you? Did you know that you can take an official test here to find out? Well, I turned out to be a rebel, which was not a surprise whatsoever, but I was surprised how much that tendency was affecting my life and really happy that there are ways to make the best of it. 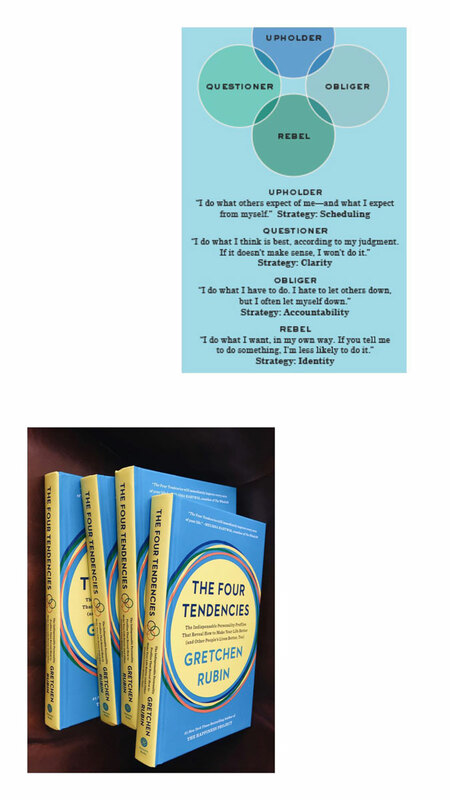 How – read The Four Tendencies book to find out. Rebels wake up and think, “What do I want to do today?” They’re very motivated by a sense of freedom, of self-determination. Rebels really don’t like being told what to do.